The woman’s story of stopping an abduction at gunpoint unraveled after an investigation revealed inconsistencies, police said. 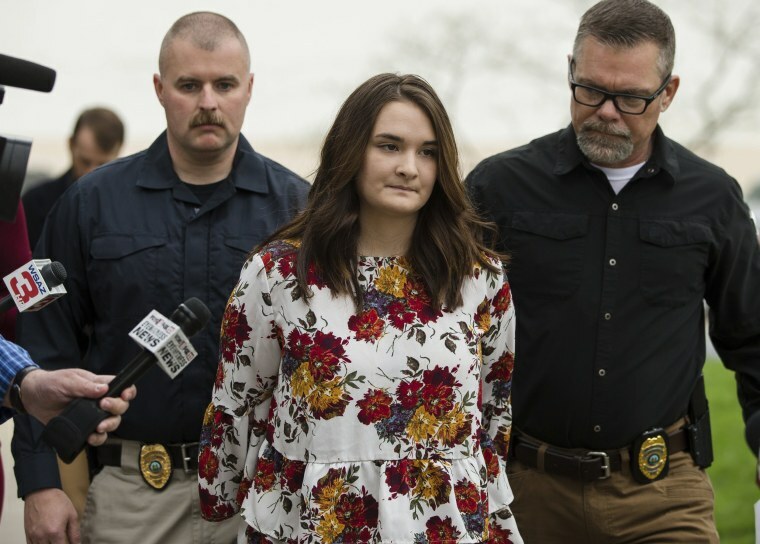 Barboursville Police Detective Greg Lucas told The Associated Press that Santana Renee Adams, 24, was charged with a misdemeanor of filing a false report in connection with the incident that she said happened Monday at a mall. Mohamed Fathy Hussein Zayan had been arrested and charged with attempted abduction of a person, but all charges against him have been dropped, Cabell County Prosecuting Attorney Sean Hammers said in a statement Thursday. Adams' story fell apart after detectives confronted her over inconsistencies on Tuesday. No witnesses to the alleged incident could be found, and video evidence also revealed problems with the account, police said. The woman told police then that maybe she misunderstood, and the man may have just been patting her daughter on the head and smiling, police said in a statement. Adams turned herself in to police at 2 p.m. Friday and was jailed after a magistrate judge set bail at $20,000. The charge carries up to six months in jail and a $500 fine. She did not say anything to reporters at the courthouse, NBC affiliate WSAZ of Huntington reported. A woman, who has since been identified as Adams, reported to police just after 6 p.m. Monday that while at a store in the Huntington Mall, a man of Middle Eastern descent tried to grab her 5-year-old daughter by the hair and abduct the girl but fled when she pulled out a gun, Barboursville police said. Zayan was arrested near the mall's food court after Adams made the claim, police said. On Tuesday, the woman "told detectives that she might have misjudged the suspect's actions, overreacted to the uninvited touching of her daughter." She “stated that the more she thought about it, the more she realized it might have been a cultural misunderstanding and that the suspect might have just been patting her daughter on the head and smiling,” police said in a statement. Zayan, a 54-year-old engineer from Alexandria, Egypt, working in the U.S., cried as he greeted family members upon his release from jail, the AP reported. Lucas told the AP that Adams did not have an attorney. No one answered the phone at a phone number listed under her name Friday night. Adams did have a gun in her pocket and told police it was a Smith & Wesson 9 mm, WSAZ reported, citing a criminal complaint. But Zayan said that he never tried to abduct the child and wouldn't be able to say what either the mother or daughter looked like and that no gun was pulled on him. Video surveillance near the store's entrance shows Zayan and Adams calmly walking out nearly 35 seconds apart and going in opposite directions, the station reported. Lucas had told The Herald-Dispatch newspaper of Huntington that he did not know why the report was made, but that false rumors on social media about attempted abductions might have played a role. "I can't say that she had any kind of agenda or what her agenda was, but it still was very, very bad to hurt this man and upset our entire community like it did," Lucas told the newspaper. Barboursville, where the mall is located, is a village of around 4,000 people just east of Huntington.